Urinary tract infection (UTI) is an extremely common health problem, with an unpredictable history. Members of enterobacteriaceae family such as Escherichia coli, which are normal inhabitants of human intestines, account for the majority of these uncomplicated infections. Rarely, UTI can result from virus or fungus. There is a close correlation between loss of the normal genital microbiota, particularly Lactobacillus species, and an increased incidence of genital and bladder infections. Although antimicrobial agents are generally effective in eradicating these infections, there is a high incidence of recurrence. 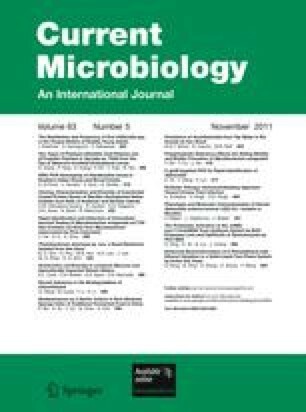 Use of Lactobacillus species to combat UTI is now giving modern concept of modern genitourinary vaccine with the facts that it not only maintains low pH of the genital area, produces hydrogen peroxide and hinders the growth of E. coli but also activates Toll-like receptor-2 (TLR2), which produces interleukin-10 (IL-10) and myeloid differentiation factor 88 (MyD88). E. coli activates TLR4, which is responsible for the activation of IL-12, extracellular signal–regulated kinase (ERK) and c-Jun N-terminal kinase (JNK). This process downregulates inflammatory reactions caused due to pathogens. Current review covers the probiotics-based TLR therapy and shed some knowledge for the use of Lactobacillus species as probiotics. The online version of this article (doi: 10.1007/s00284-011-0006-2) contains supplementary material, which is available to authorized users.